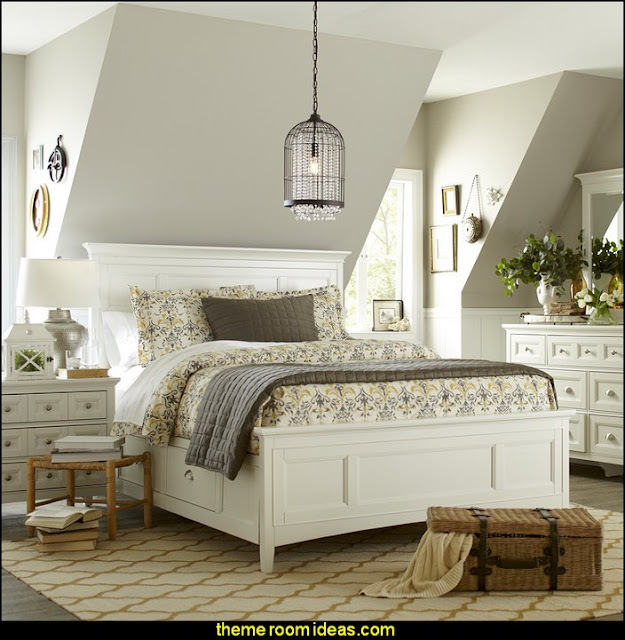 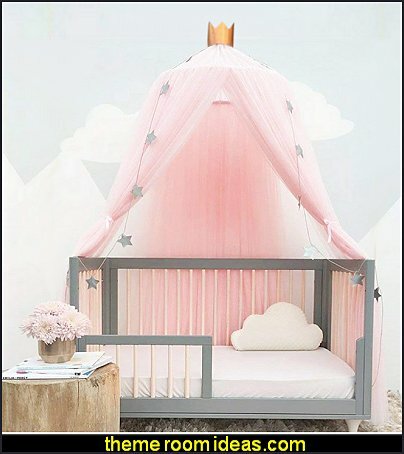 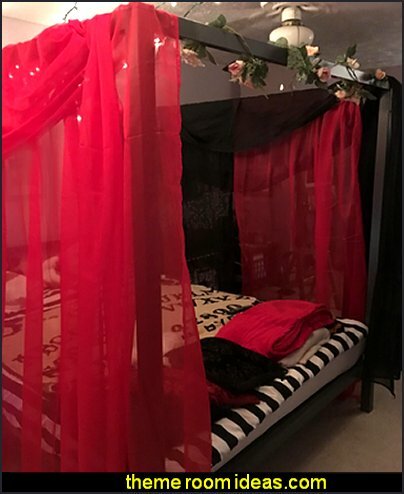 With this eye-catching canopy, you'll be slumbering in high fashion as you unwind surrounded by style. 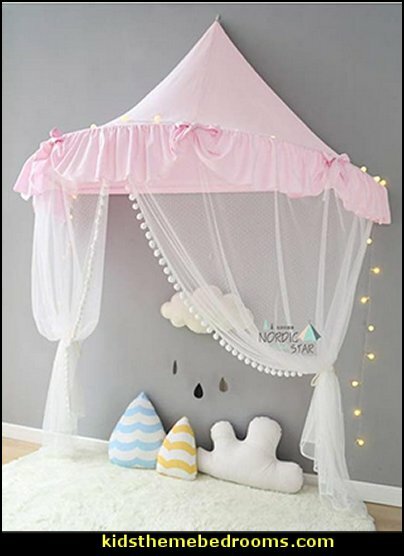 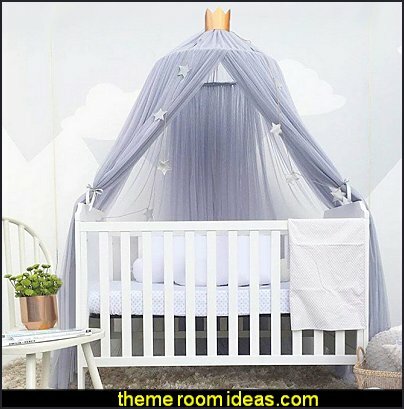 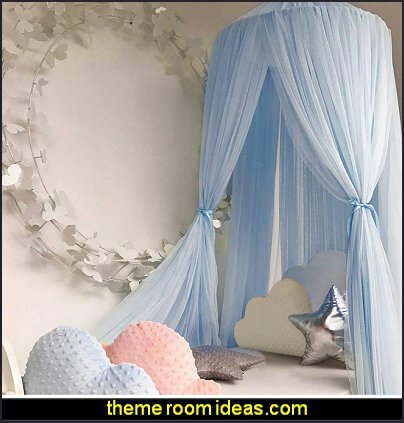 This netting is perfect for multiple uses - drape over beds and cribs or hang from the ceiling, creating a cozy reading nook fun play space. 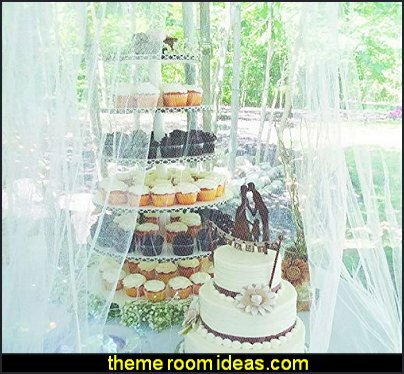 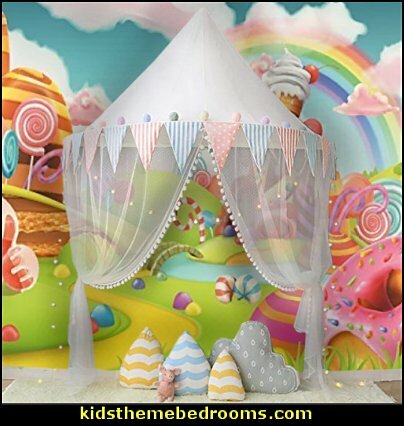 Protect cake tables or to create an eye-catching gift tent at a birthday parties. 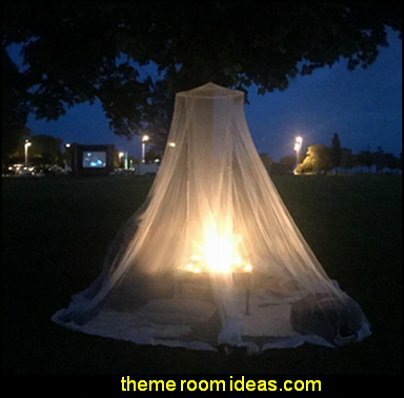 Lightweight & durable enough to be taken away on holidays and camping. 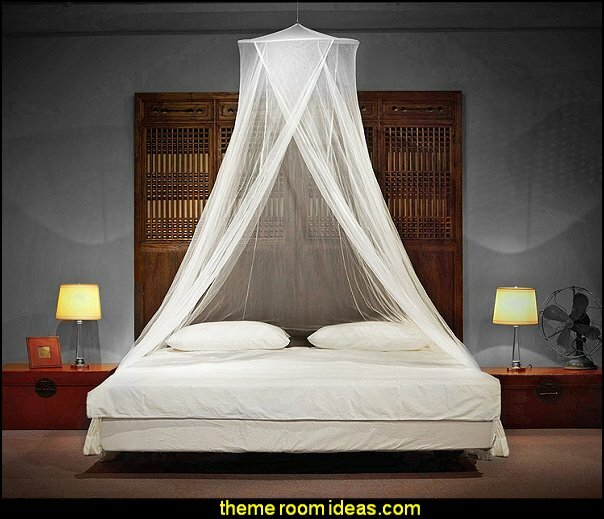 Cover your bed for full protection from bugs, allowing for a peaceful pest free nights sleep. 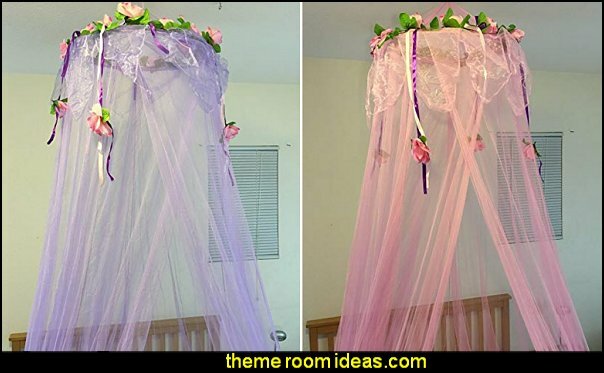 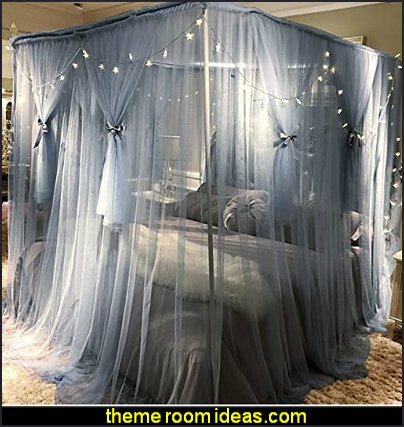 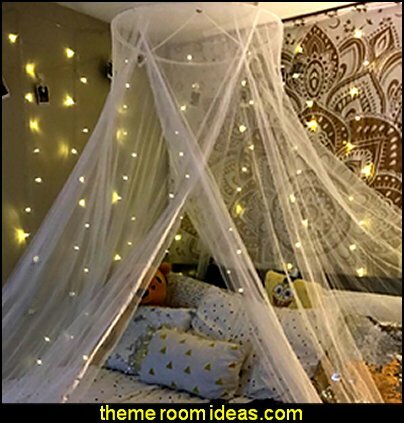 Fun and functional mosquito netting as well as being an eye-catching bed accent. 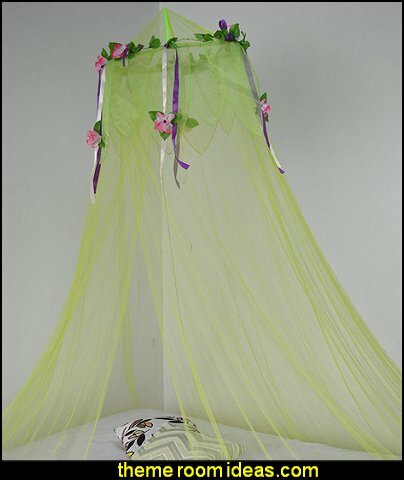 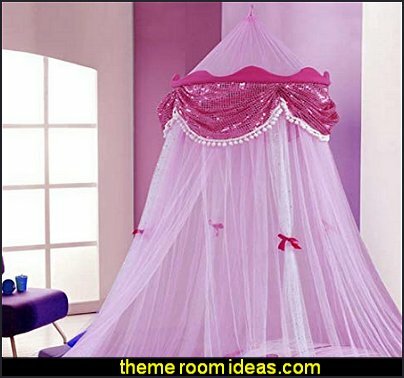 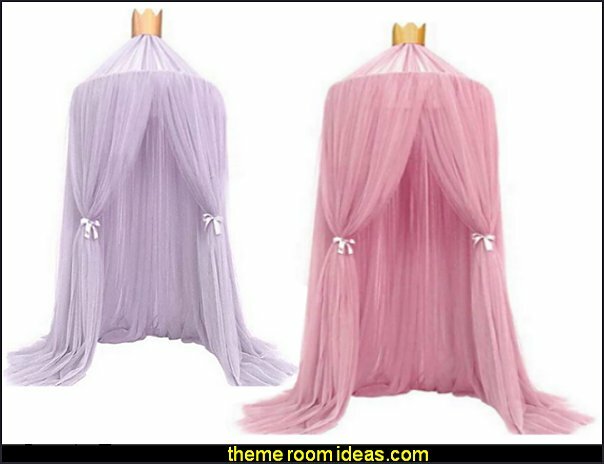 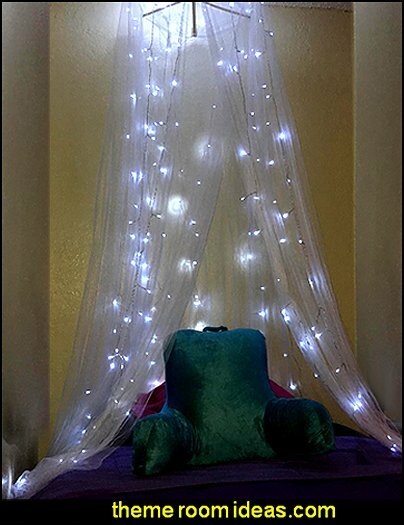 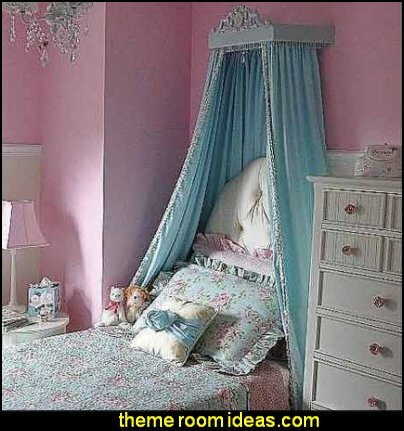 Fun and functional embellished collapsible sheer net hoop bed canopy. 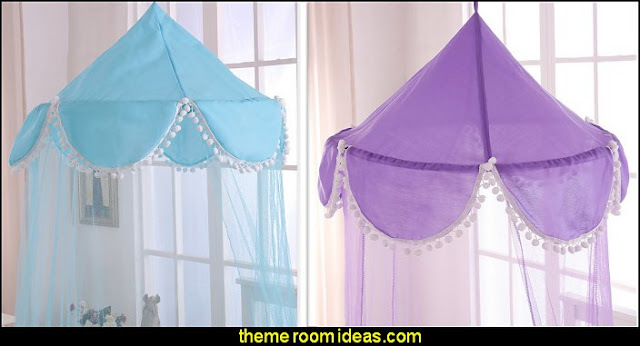 Installs easily with one included hook placed into the ceiling. 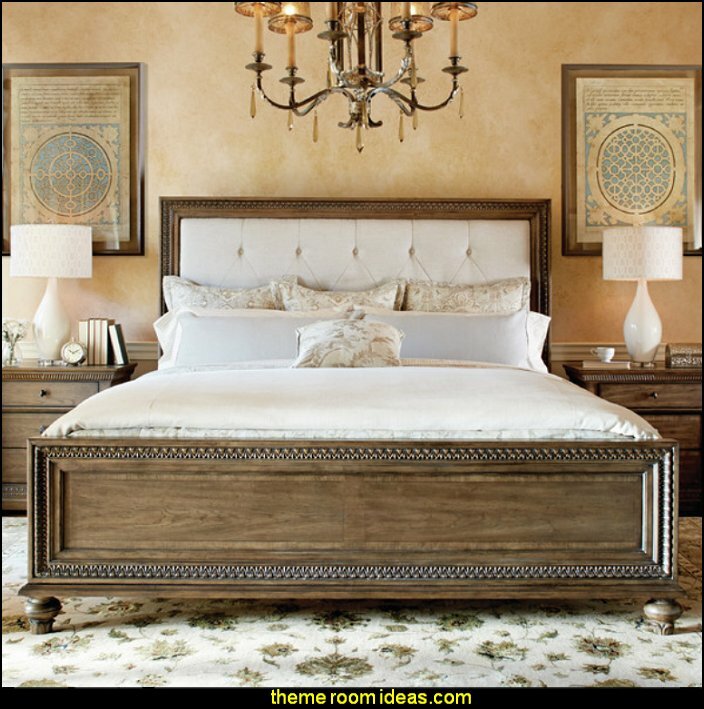 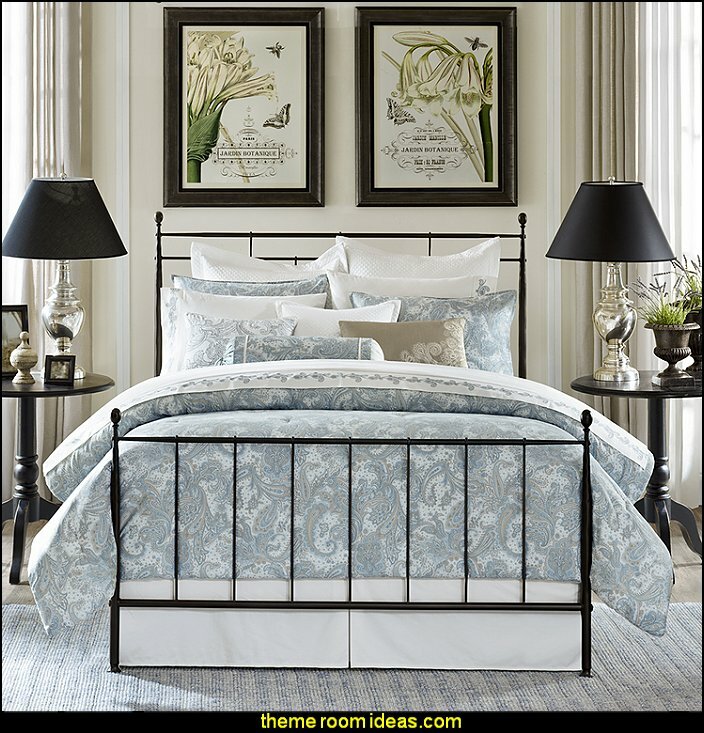 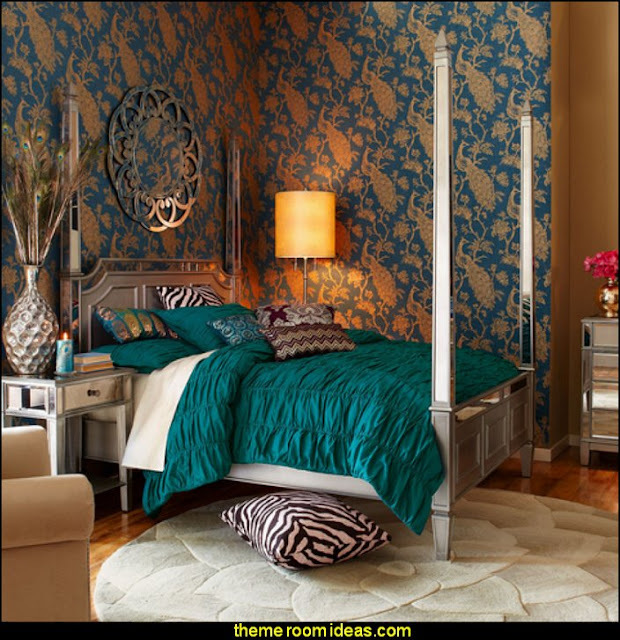 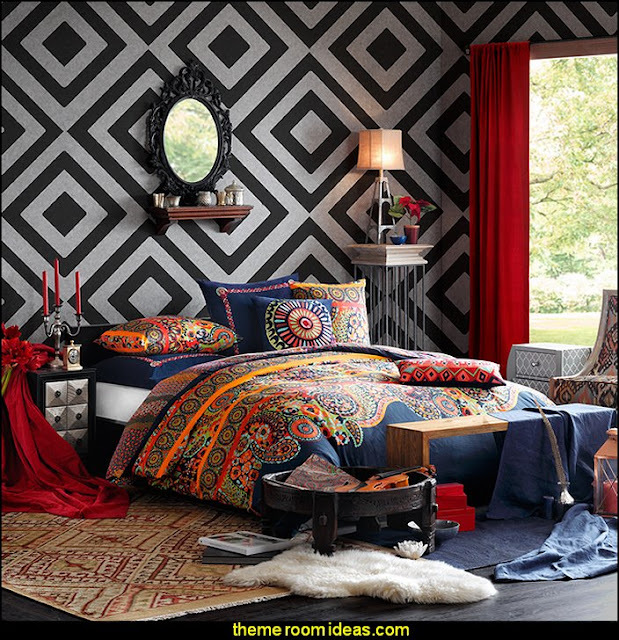 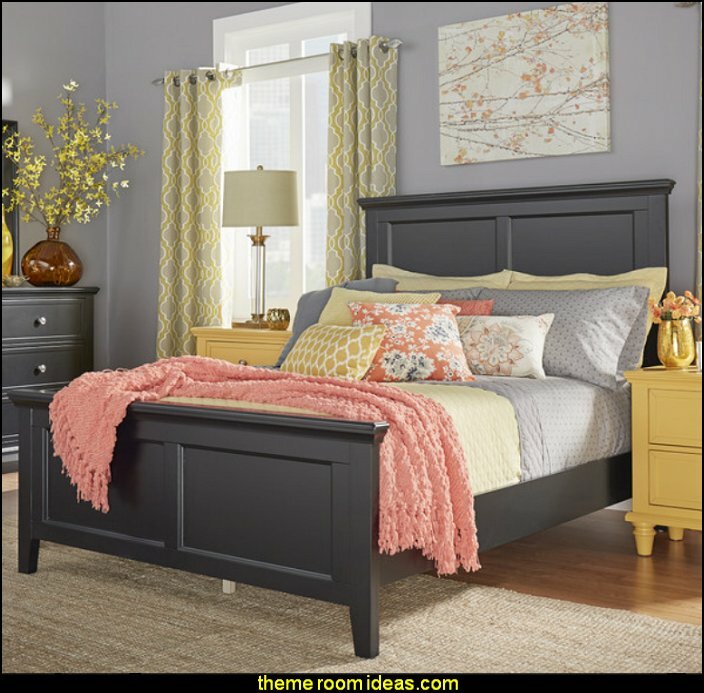 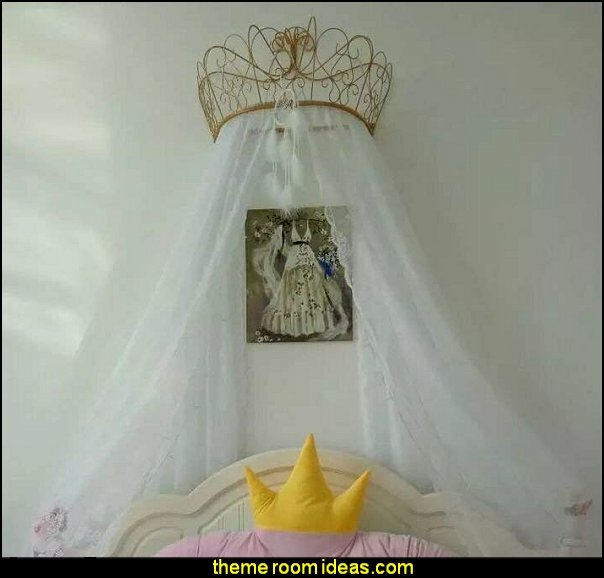 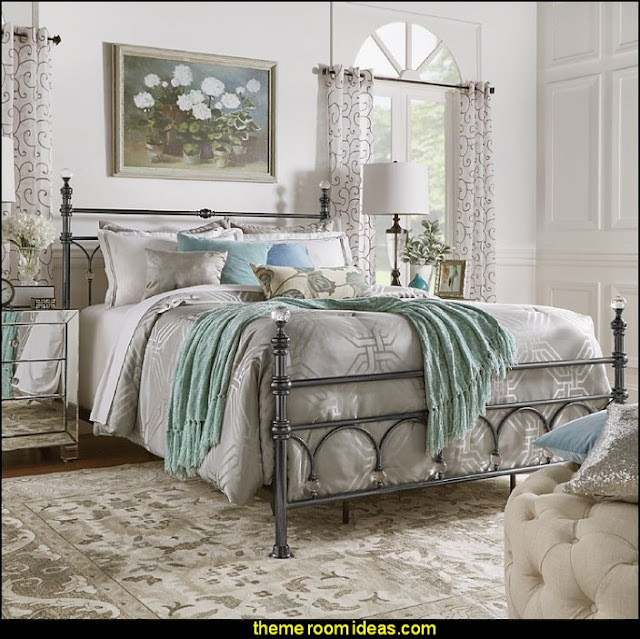 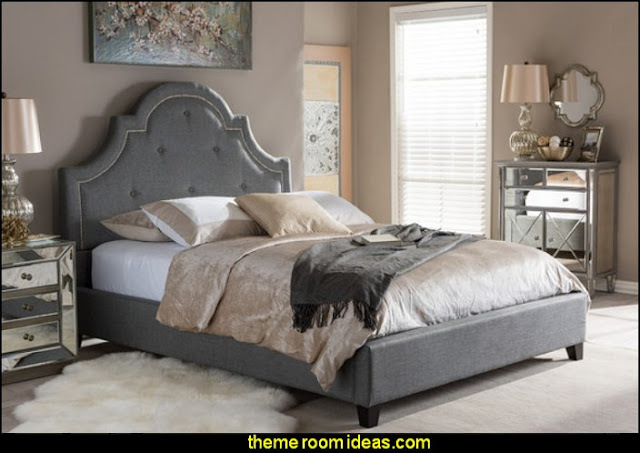 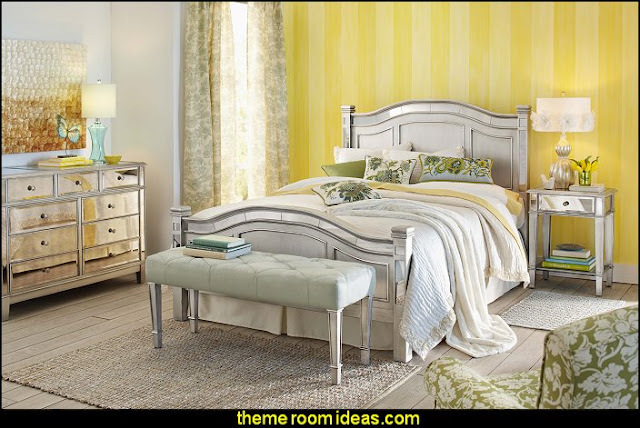 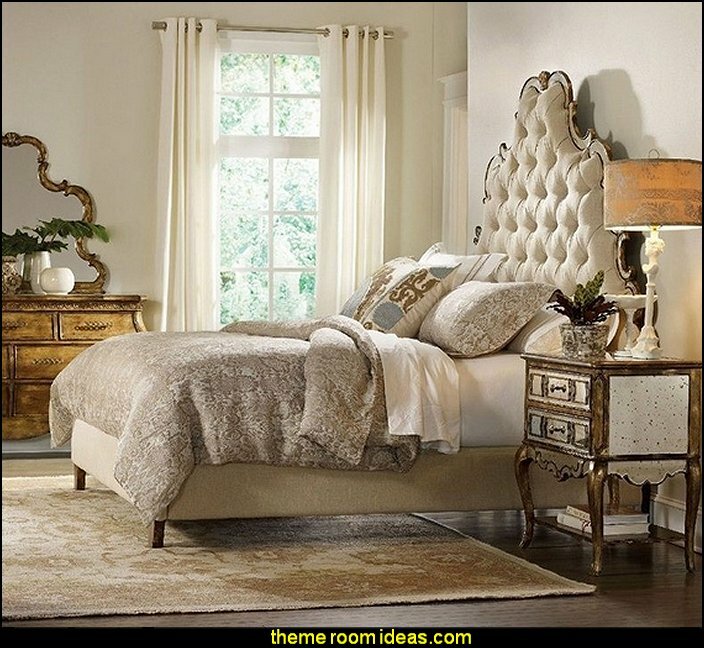 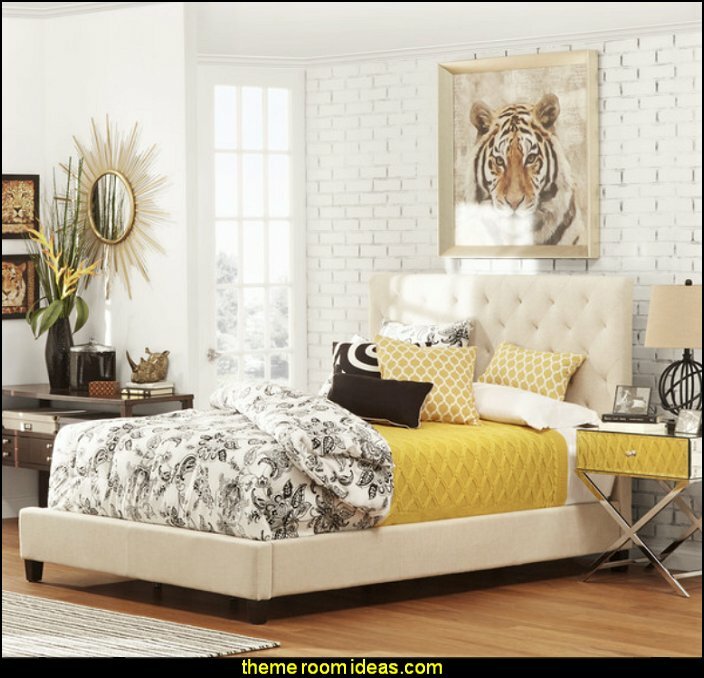 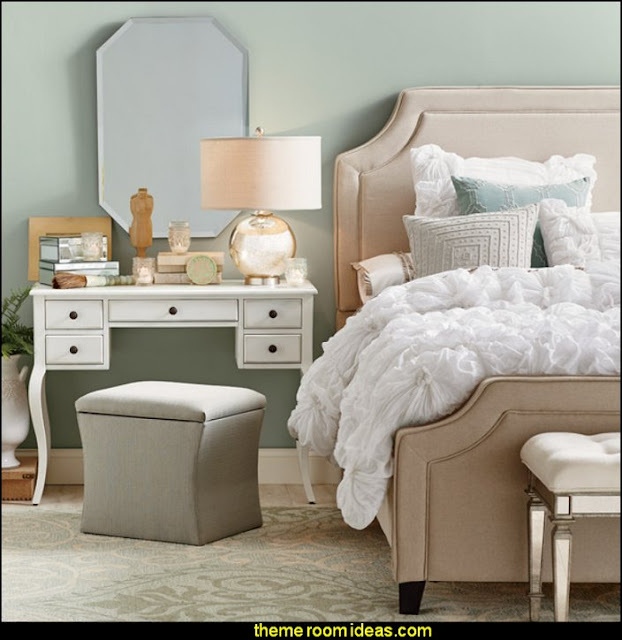 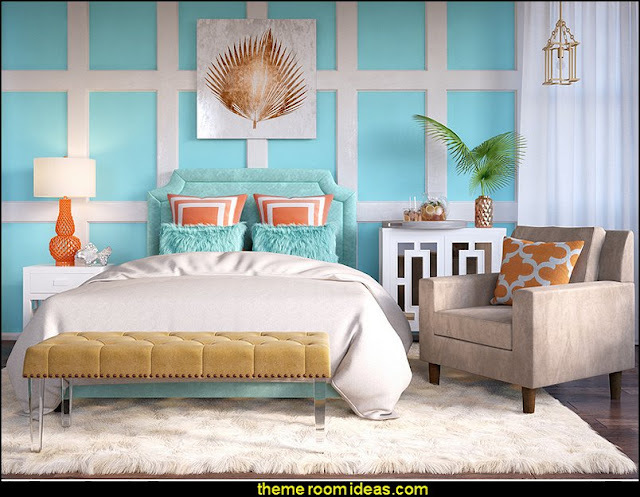 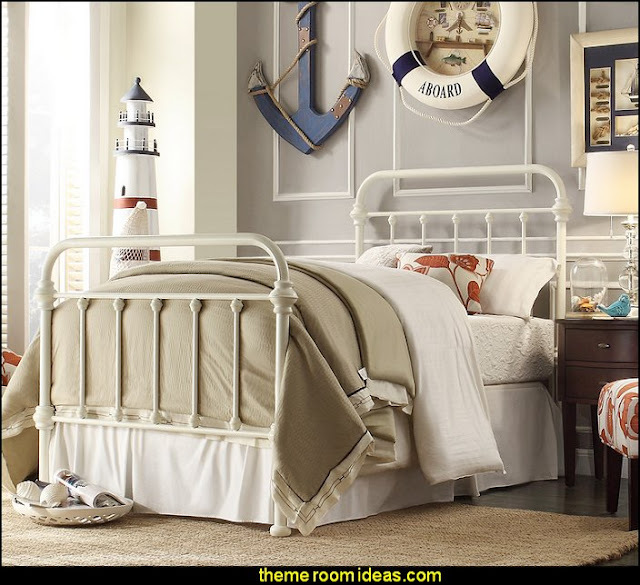 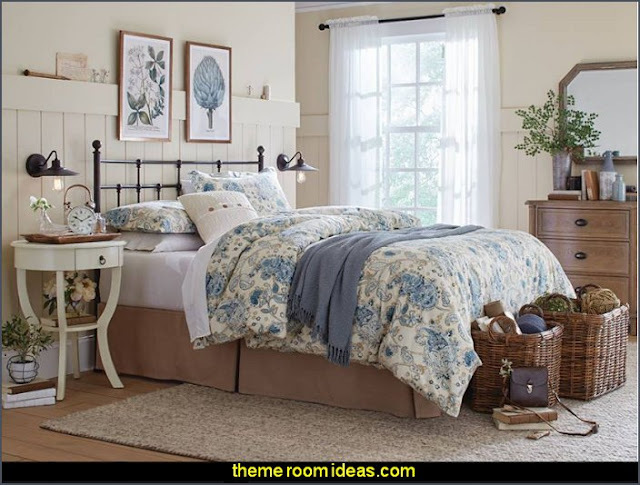 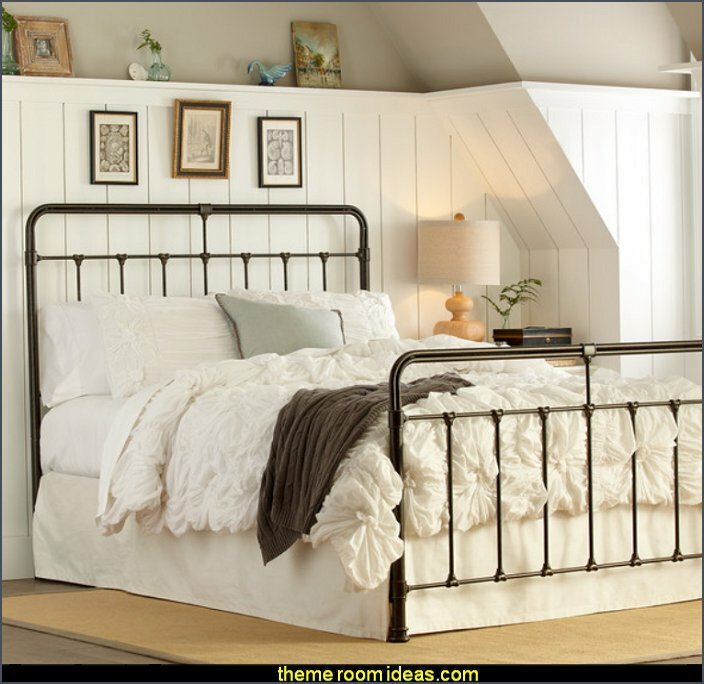 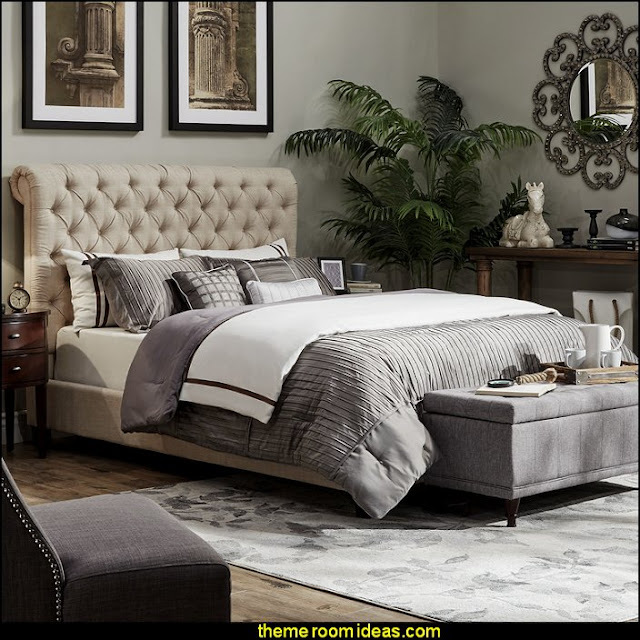 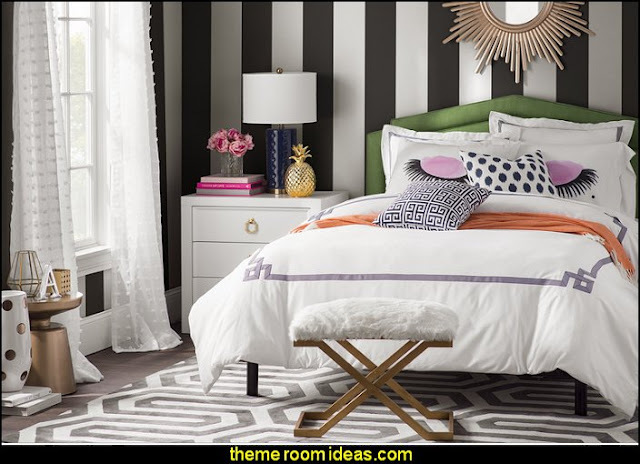 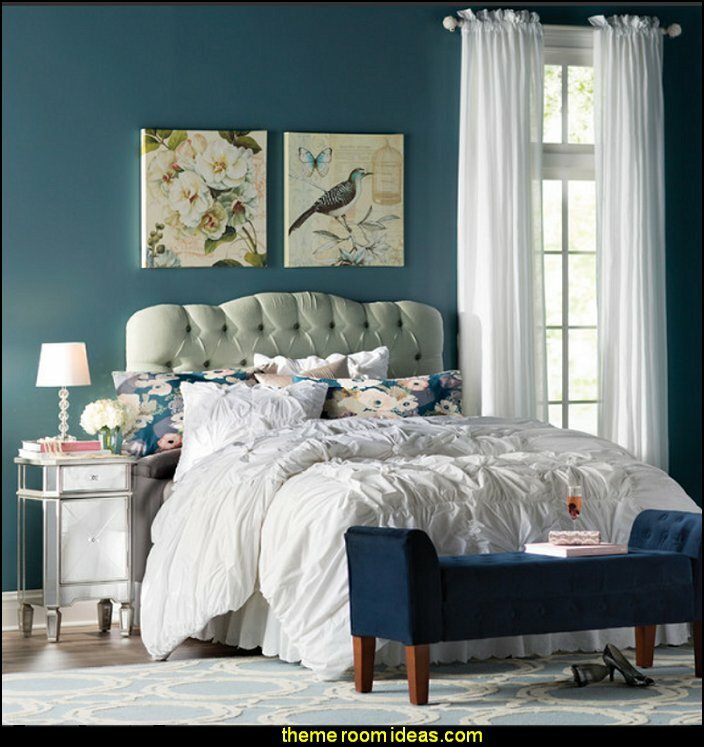 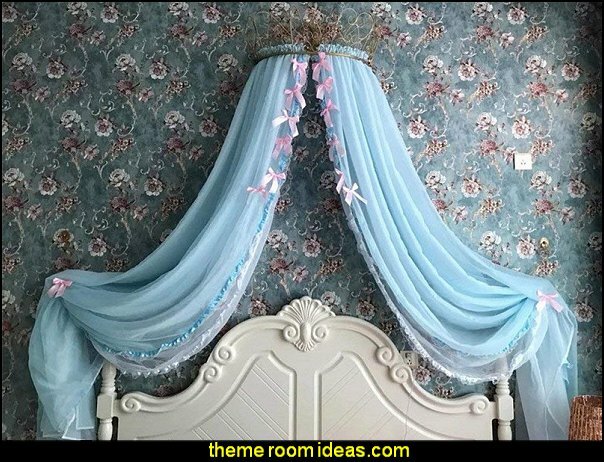 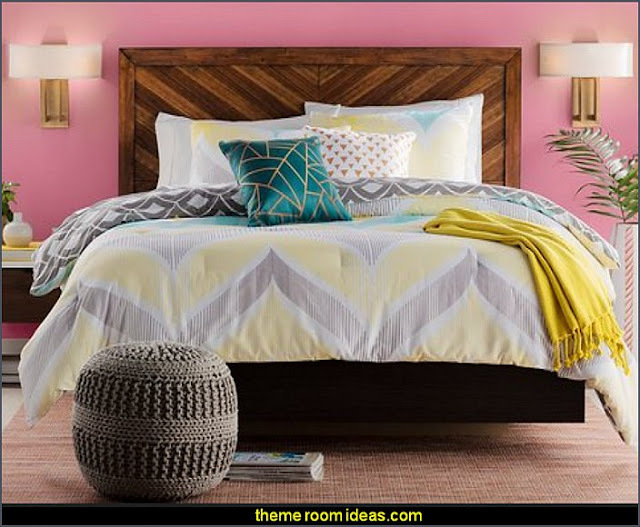 Transforms a bed into a magical wonderland or royal quarters. 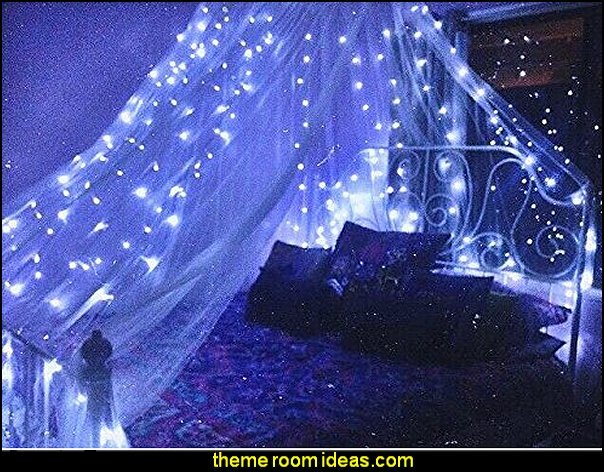 Watch that gleam in your fairy princess's eyes as she enters dreamland crowned in glory. 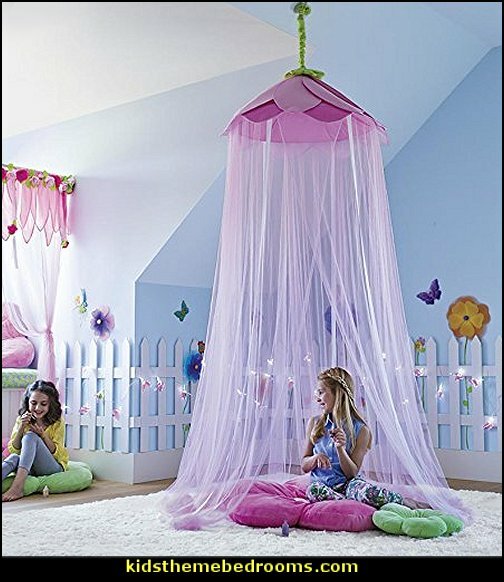 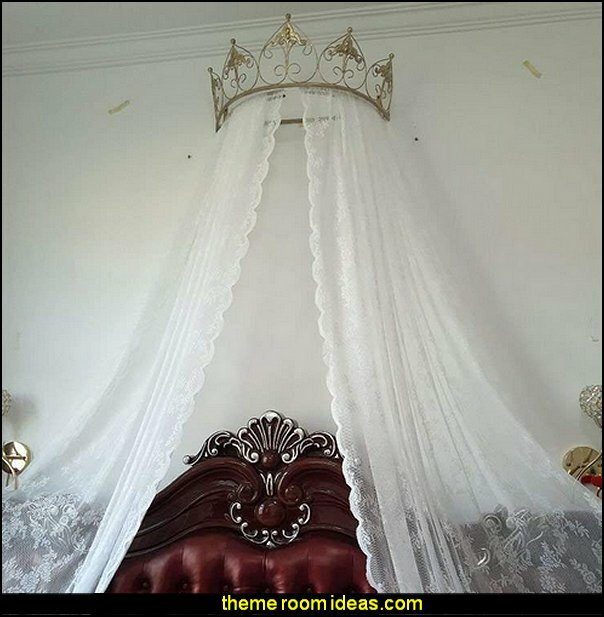 This enchanting Fairy Princess Bed Crown is every little girl's dream with its hanging crystals and fresh colors. 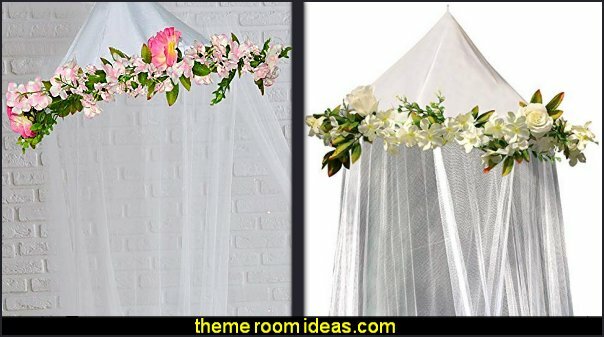 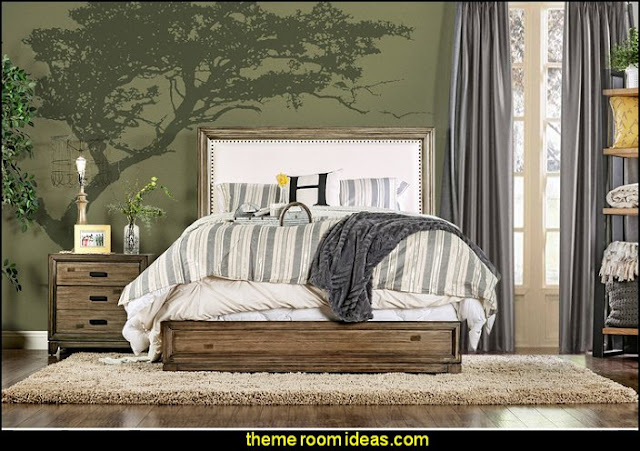 You can add her initials in the center of the majestic carvings and hang your own choice of sheer to the attached curtain rod for that finishing touch. This piece is truly one of a kind!